These gift vouchers are a perfect way to celebrate Birthdays, Weddings, Holidays and many more special occasions! 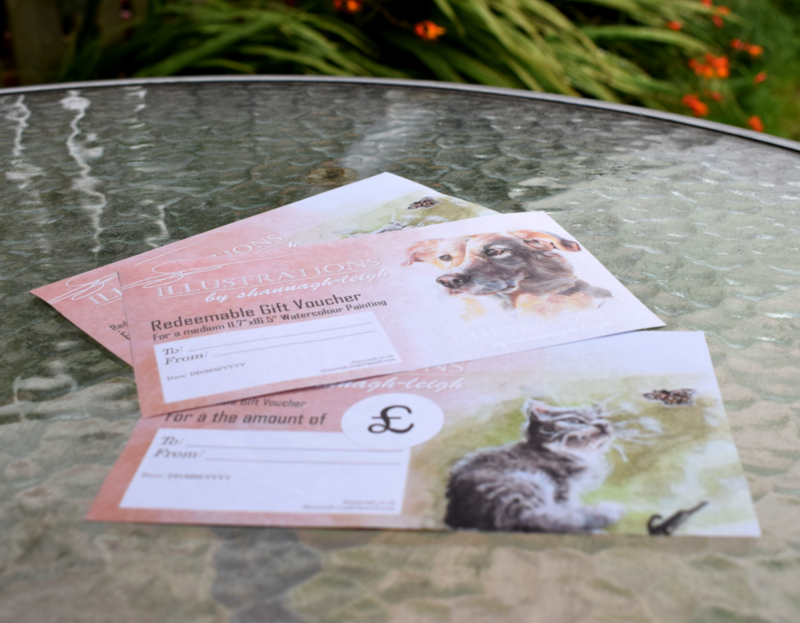 Each voucher can be personalised with your own message to the recipient. These gift vouchers are personalised for each client, a personal message can be added upon request. I aim to get vouchers completed and sent out on the same day as ordering unless stated otherwise. The voucher will be sent to you directly via email in a PDF format, feel free to print this off on your printer and wrap it up as a present in an envelope or however you see fit. Moreover I can send the email directly to the recipient on a specified day if preferred. Clients decide on the amount for the voucher, please see the commissions price list first. Vouchers can also pay the full amount for a personalised painting, in this case the voucher will state “Redeem Gift Voucher For [size] portrait” so the amount paid will not be present on the voucher. Once you’ve ordered your voucher I will reply by email to confirm the voucher amount and discuss payment, once approved your voucher will be sent to you (unless stated otherwise, see above). I accept payments for vouchers via bank transfer or paypal. 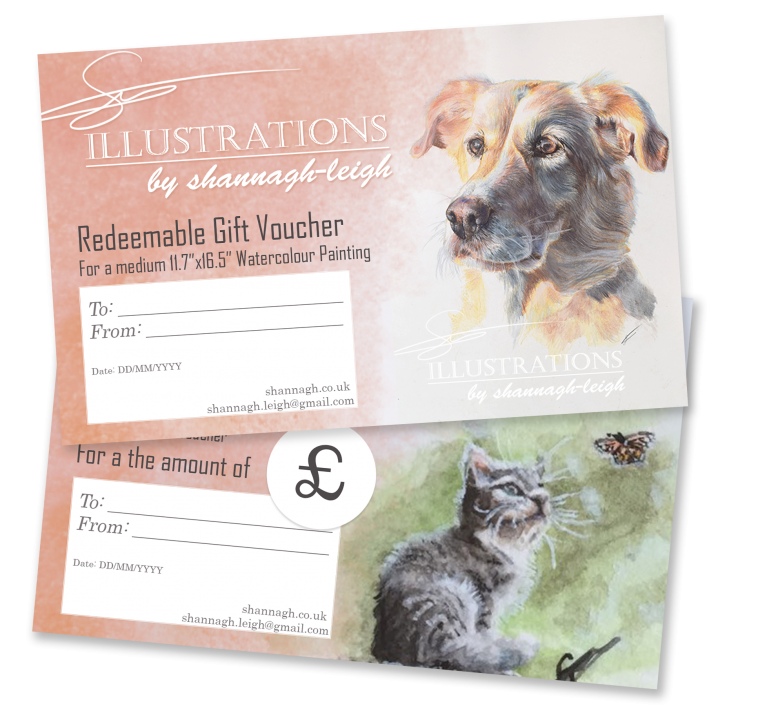 To redeem a voucher email me at shannagh.leigh@gmail.com or message me through my facebook page illustrations by shannagh-leigh. Please have your photographs ready that you’d like to use for your painting, as soon as the photos and painting has been discussed and approved the its then added onto the commission list. All vouchers are valid for 2 years from the date of purchasing, this is present on the voucher itself.